Download Lismonia font for free. Lismonia is a font / typeface offered for free. please note that if the license offered here is non-commercial you have to obtain a commercial use license / permit from the original author. 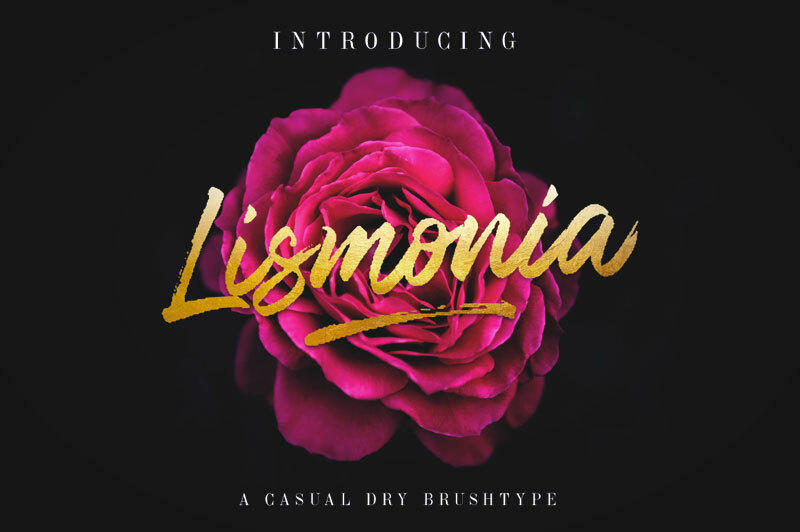 Introducing Lismonia, a casual handwritten brush font with quick dry strokes and a signature style. Lismonia great to use for logos, inspirational quotes, t-shirt graphics, typography art, apparel, labels, posters, business cards, stylized wedding invitations, prints, signs, book cover designs headlines, titles, etc. If the Lismonia font is offered under 'commercial use free' or 'creative common' license, feel free to use Lismonia font for any purpose.